And the review? Well I'm sadly very disappointed. It's solid enough but not particularly well made. 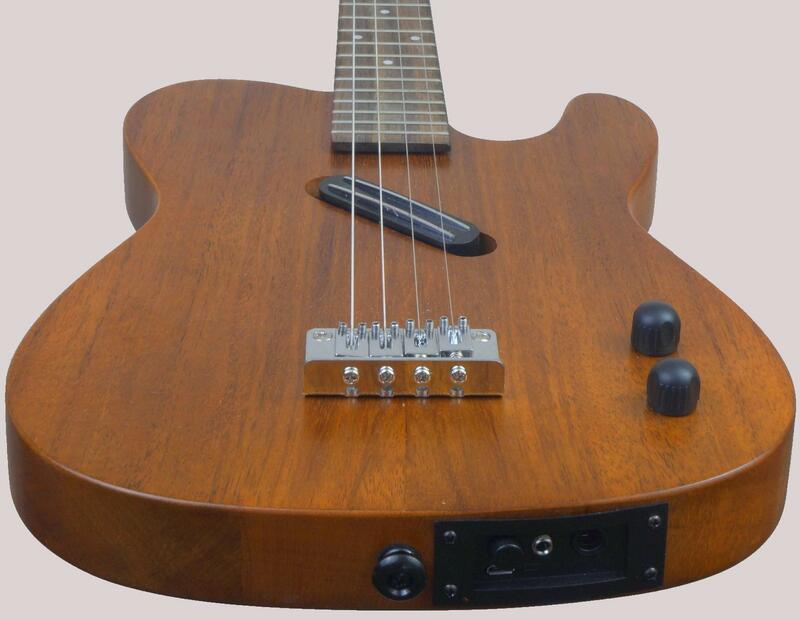 The nut needed a lot of work to get the intonation and setup right; far more than most buyers would put up with. The back plate is poorly fitting and the faux wood pattern on it doesn't really match the actual wood of the body very well and the electrics underneath it are shockingly bad. I can't say I'm enamoured with the looks ether, I have already said the backplate looks bad. to be honest it would look a lot better with a plain black, or white one, to match the scratchplate its crying out for. It doesn't have to be identical to the Fender Telecaster scratchplate but with that headstock design and body shape that would be a place to start. My biggest dislike of the looks is the pickup though. To my mind it looks too big and the angle too acute, (possibly to try and hide the fact that its too big?) It looks like rather than sourcing the right pickup they just took the first rail guitar pickup they came across and said"that will do". I think a cover might help too but it still wouldn't hide the fact that the pickup is too big.